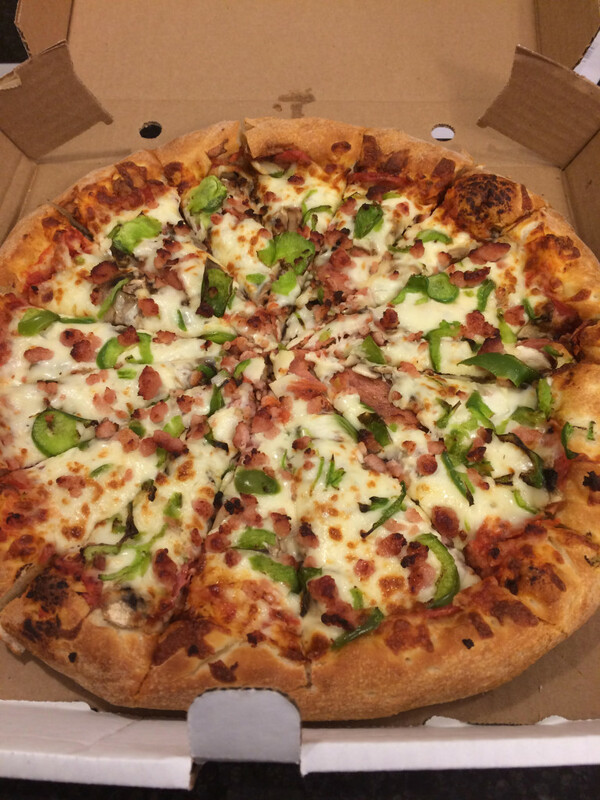 To see the rest of the Dartmouth Pizza Quest, check out my posts on Downtown Dartmouth, Woodside/Eastern Passage, Cole Harbour and North End Dartmouth. 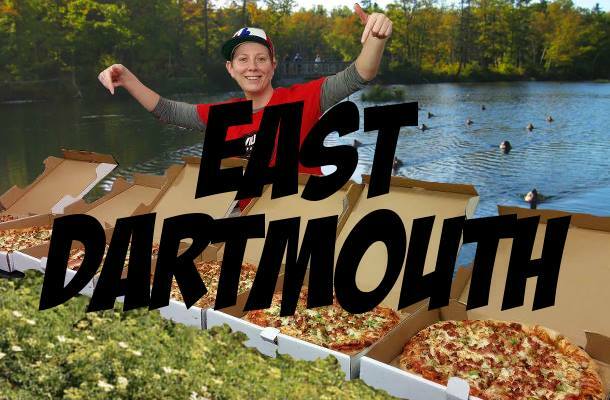 Welcome to the last leg of the Dartmouth Pizza Quest! If you are scratching your head at my “East Dartmouth” designation, this is the area east of Lake Mic Mac and Lake Charles, with Main St. and Waverley Road being the two primary streets if not exactly delineations. Residents of Port Wallace and Woodlawn – this one’s for you! My delineations are not perfect. 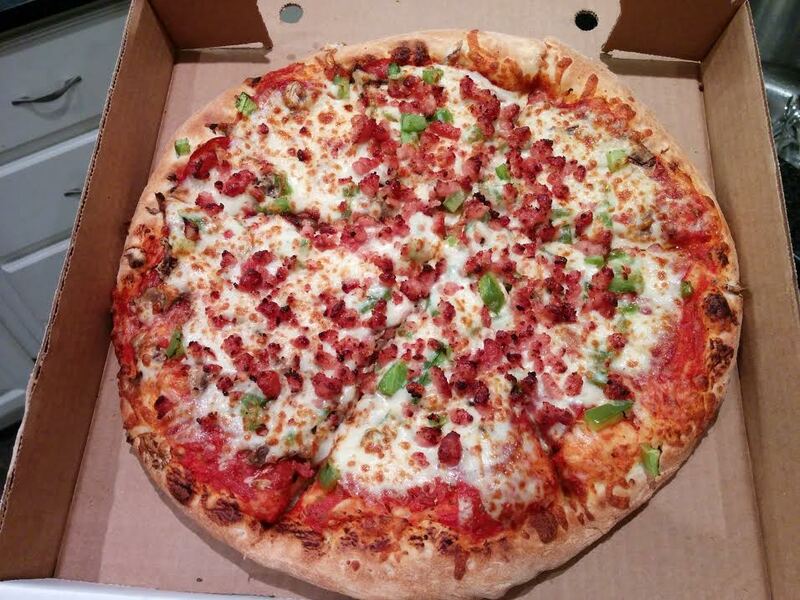 We did Caldwell Pizza on the Cole Harbour Quest even though it’s technically in southern Woodlawn. We did Tasty Pizza on this quest because I didn’t previously notice that it is technically in Cole Harbour. Oh well! Much thanks to our lovely hosts, Nancy and Dave, and cousin Dennis who filled in for an absent quester at the last minute. These pizzas were scored for sauce, crust, cheese, toppings and overall. Each participant was also asked to name their top 3 picks, and declare their favourite. According to Denton, Leo’s had the best crust of the evening. His opinion was not shared by our host, Nancy, who thought the crust was “heavy, fluffy” in a bad way. The crust still scored second place overall. I agreed with Denton about the toppings. The bacon had an excellent flavour that I adored from first bite onward. However, ReTales did not approve of the bacon and Dave thought it was undercooked. Denton and I also liked the sauce, whereas no one else was wow’d by it. The sauce still tied for 2nd place. The cheese did not always reach out to the end crust of the pizza. Leo’s got a 2/4 across the board for its cheese factor, which was not its highest achievement. Tasty Pizza tied Leo’s for 2nd place in the sauce category, but it beat Leo’s crust. The crust was poofier than the others. Everyone thought this was an above average crust except for Dave who gave it a poor rating. He felt it was too dry, and pointed out the lack of grease stains on the bottom of the box. Tasty also placed 2nd for Cheese and Toppings. There was a thick layer of cheese that 3/6 people considered to be “above average”. This one was kind of boring. The crust was the lowest ranking crust of the day, and feelings were mixed about the sauce. Dennis thought there wasn’t enough sauce, while ReTales and Denton thought there was plenty. However ReTales felt that the sauce was tasteless, while Denton seemed to enjoy it. I thought there was a pasty sauce/crust interaction that was displeasing. Eli’s redeemed itself a bit in the Toppings category, where it scored 3rd place. 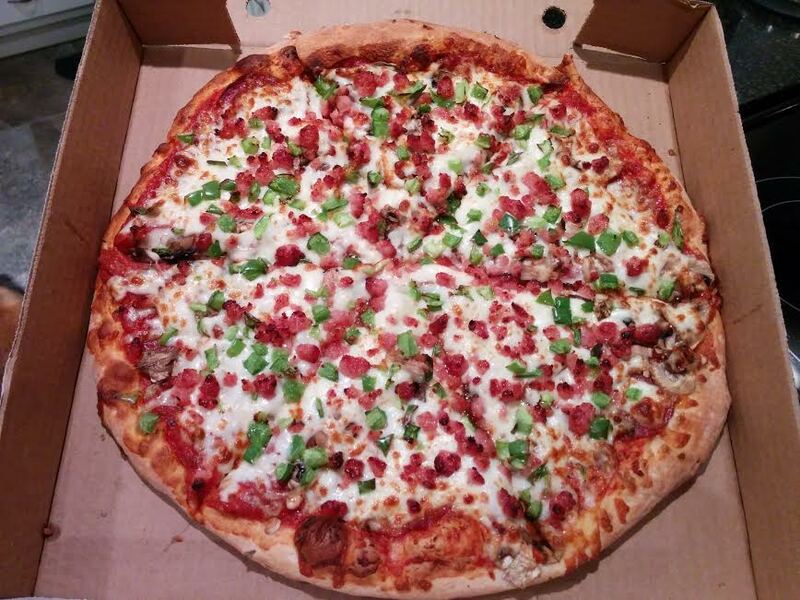 There was a good layer of pepperoni and you could actually taste the green peppers and mushrooms. Oh – and Eli’s serves something called “Donair Fingers” – breaded, deep-fried donair appys. Worth a try! Cascade Pizza performed fairly poorly. The crust was really weird – kinda dry, and we pondered whether it was made from a frozen shell. 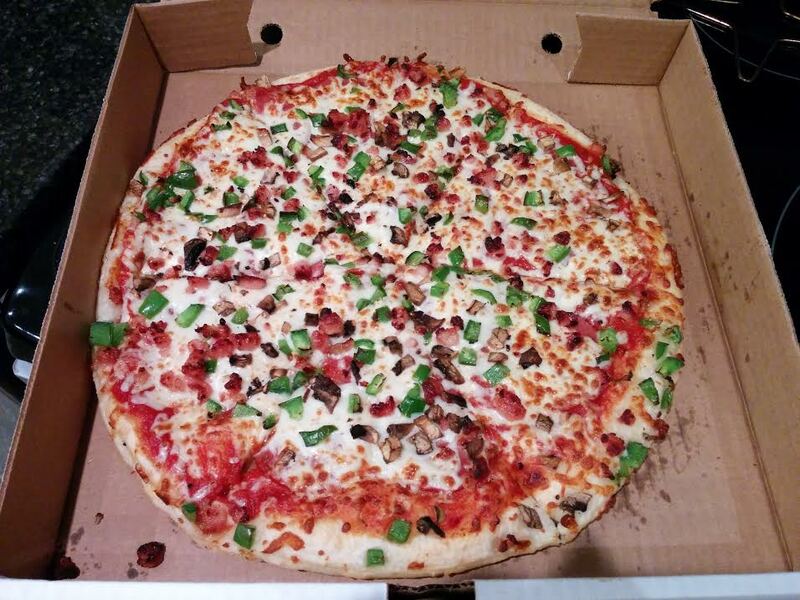 The mushroom and green peppers, located on top, were diced really fine but didn’t make a big impression on us. The sauce scored last place. Denton wrote that it can an “unpleasant tartness” and I thought it tasted straight from a tin can. The cheese was simply adequate. However, ReTales and Dave indicated this as one of their top 3! 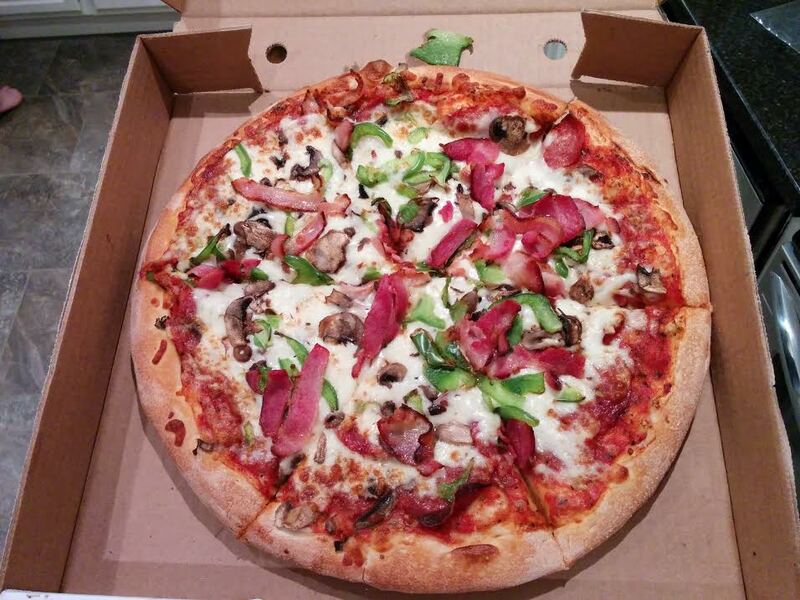 ReTales wrote: “This is a very responsible pizza, satisfying yet not outstanding, you can give a piece to grandma to gum down”. Ronnie’s scored third place for Crust and Cheese if only because it hovered around average. ReTales and Denton thought the crust was slightly doughy/gummy/undercooked, but I thought it was just as good as Leo’s. 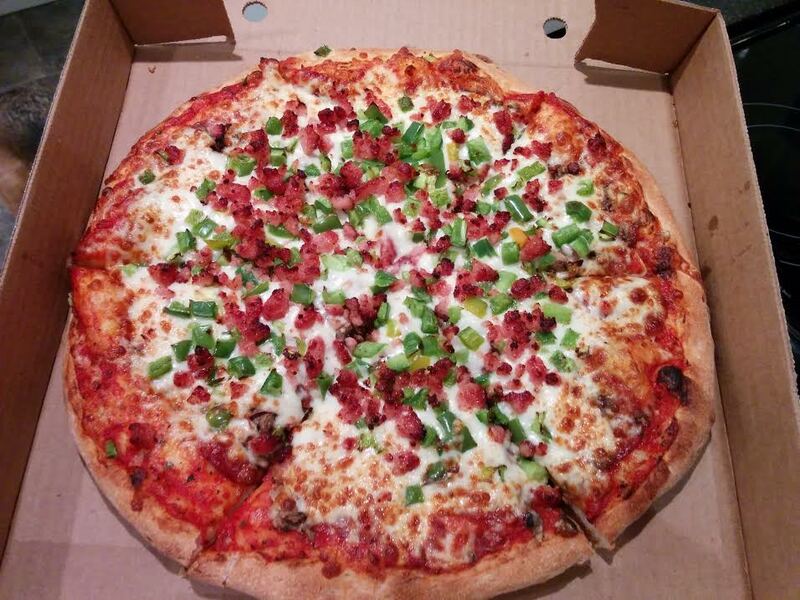 We covered this pizza before in the Cole Harbour Quest, where Ronnie’s placed 2nd for their spicy/zesty sauce. I enjoyed the sauce just as much this time around, but Denton’s score was lower than in Cole Harbour because he noticed less sauce application. This is a pretty average pizza with an okay crust and a nice sauce (when applied with earnest) but it is one of the more expensive pizzas in town, even with the 2 for 1 deal. *The Main St. location is closed on Sundays. We were forced to go pick up a pizza from the Albro Lake location in order to include Manhattan. Results may not be exact. 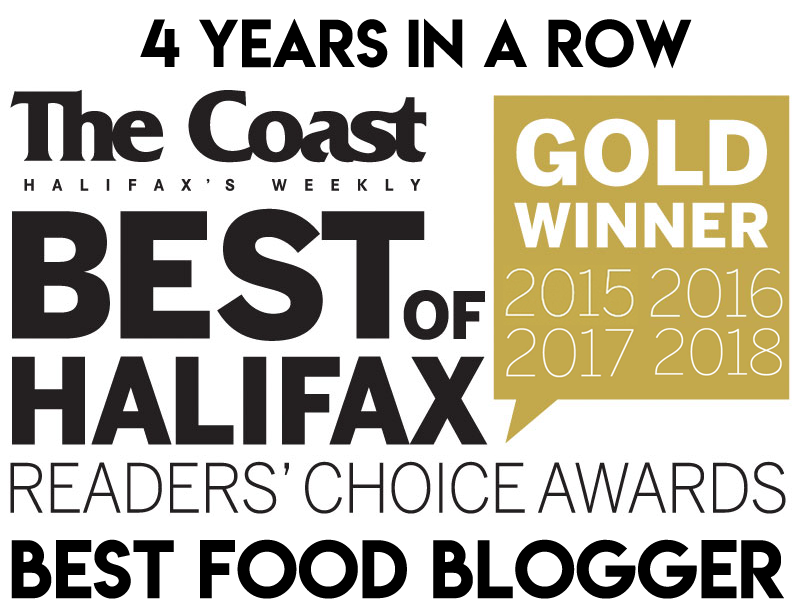 We were ecstatic to finally see some real bacon in Dartmouth! Nice chunky vegetables and bacon strips adorned the top of this pizza, which was also pounded with cheese. Manhattan Pizza rightfully got first place for Cheese and Toppings. Manhattan also got first place for Sauce, even though Denton and I didn’t really like it. It was spicy, tangy and in good supply, but there was just some flavour that was off-putting for us. Points-wise it is so close that it’s virtually a tie, especially when you consider that 3/6 people picked Manhattan for their #1 pick. However, it was the same 3/6 people who picked Manhattan as being in their Top 3, whereas 5/6 people picked Tasty as a Top 3 pick even though only one person picked it as their #1 (yours truly). I think both Tasty and Manhattan will move onto the final. Nope – they’re as open as ever! I would recommend trying Revana’s as well! 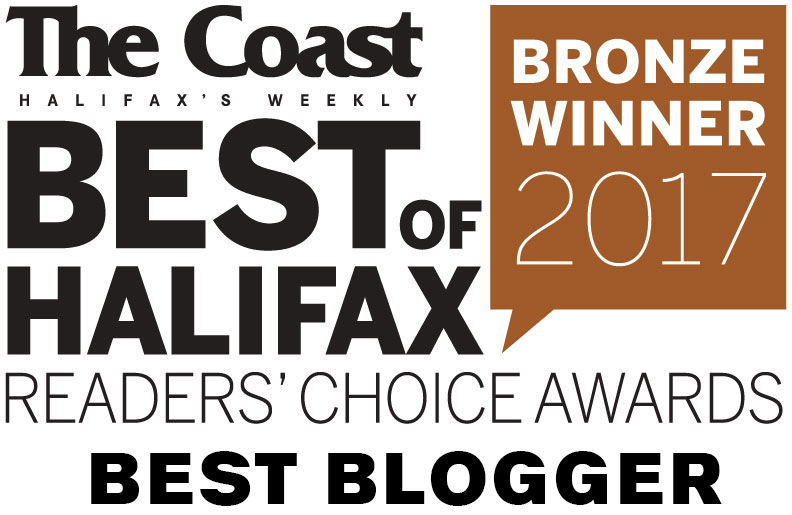 Check out the Downtown Dartmouth pizza quest to see how Revana’s did. You can see all of the Pizza Quests here.